Walking around Walden Ponds, you never know what you’ll see. I hadn’t seen much of anything and was wondering whether I would return home empty-handed (or empty flash-carded? 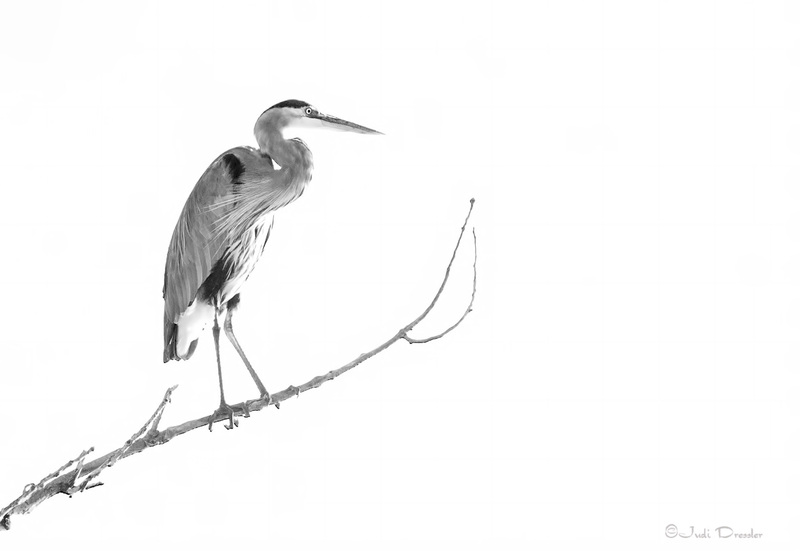 ), but there was the Great Blue Heron, perched up high on a branch almost above us. Thank you, Great Blue! I decided to try this shot in black and white, and liked the result – it gave an elegance that the color one didn’t achieve.